Life insurance death benefits are not taxable income, unless you receive money in excess of policy benefits. 2. Is Accrued Interest on a Life Insurance Payout Subject to Federal Income Tax? In most, but not all cases, life insurance death benefits are not taxable income. Whether you receive a lump sum or periodic payments, as long as the amount does not exceed the death benefit specified in the policy, the proceeds are not taxable income. However, should you receive more than the stated death benefit, the additional funds are considered interest and treated as income for tax purposes. Life insurance policies with a fixed or stated death benefit that's paid to the beneficiary generate no taxable income. There is an exception, however. If your spouse's employer is the policyholder for your spouse, whether you or the employer is the beneficiary, proceeds above the premiums paid are taxable income to the recipient of the death benefit. Fortunately, you can avoid taxable income if the employer meets the conditions stated in IRS Publication 525. When a life insurance company pays death benefits in excess of the stated amount, as you receive these extra dollars, they are taxed as income. Excess benefits typically result from interest earned on your premiums paid during the life of the policy. As an individual taxpayer, you record--and are taxed on--income as you receive it. The IRS allows taxpayers to "pro-rate" their income portion of excess death benefits, should you receive them. 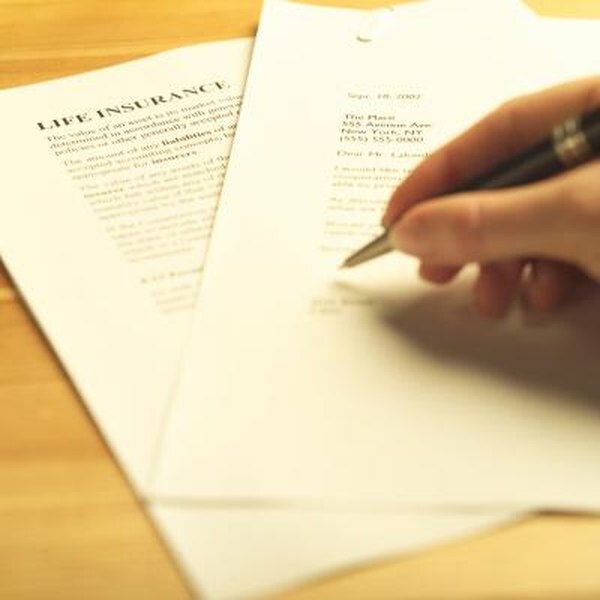 Some life insurance policies have a death benefit stipulating that beneficiaries are paid a periodic amount over their lifetime. If the policy states that there is no "refund provision" or a stipulated time period guarantee, the non-taxable portion is the amount of death benefit divided by the beneficiary's life expectancy. This equation sounds more complicated than it is mathematically. However, if you are the beneficiary of one of these policies, consult with a tax professional before making your own calculations to avoid tax issues. Accelerated death benefits are sometimes paid before the insured dies. These amounts, per contract, may be paid when the insured is terminally or chronically ill. These benefits are usually not included in taxable income. According to the IRS, however, this exclusion does not apply for amounts paid to persons or entities, other than the insured, if the person or entity is "a director, officer or employee of the insured" or has a financial interest in the insured's business. You must file IRS Form 8853 with your tax return to claim this exclusion from taxable income. WorldWideWeb Tax: Do I Have to Pay Tax on a Life Insurance Death Benefit?